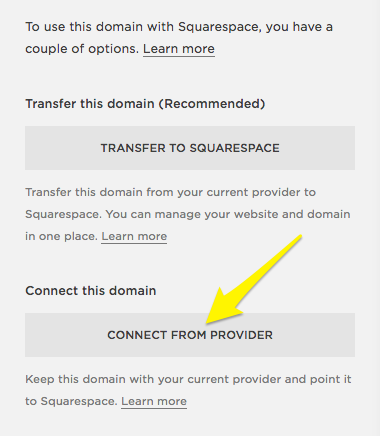 Sibername Help Center » How to point your domain name to your Squarespace site . 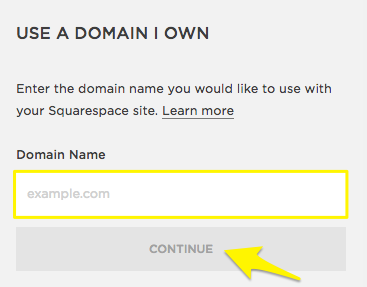 How to point your domain name to your Squarespace site . The DNS information will be there below in “Step 3 – View your DNS settings ” . To get the details go to https://www.squarespace.com/ and login to your account. Click Use a Domain I Own. Enter the full domain name you’re linking in the Domain Name box, and then click Continue. Note: If you see a message that says “This domain is already connected to another Squarespace site,” check any other Squarespace sites you manage to determine where the domain is connected. Then disconnect it from that site. For help logging into the correct site, visit Managing multiple sites. Select your domain provider from the drop-down menu. If your domain provider is listed, use its provider-specific guide instead. If you don’t see your domain provider, select Other. You can still connect your domain if you don’t see your provider in this list. Click Connect Domain. You’ll see a message letting you know that the connection to your domain is in progress. Click Okay to continue. 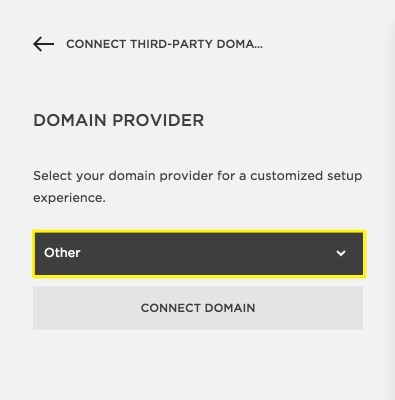 After you connect your domain, a new panel will open with the records you need to enter in your provider account so your domain connects to Squarespace. Keep this panel open for your reference. If you ever need to access your DNS settings in the future, open Domains in the Settings panel. Then click the name of your third-party domain to see the DNS settings for that domain. 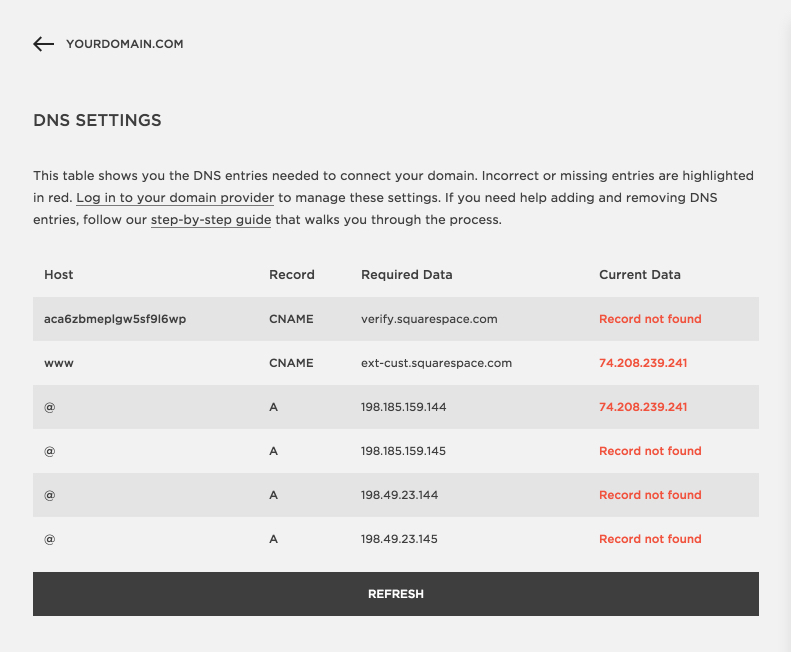 Now you have the DNS Settings which is required to point your domain name to squarespace. Please follow the steps below further. Go to “DNS Management” and “Manage DNS” . Now in DNS Settings the first value is CNAME and unique code which is pointing to verify.squarespace.com showing Record not found in Current Data . Or mentioned in screenshot below. When the domain is correctly linked, the domain will appear in the Domains panel with a Connected label. If this is the domain you want to appear in the URL bar whenever someone visits your site, set this as your primary domain.